Two battery banks have been tested and are described here namely a deep cycle lead acid battery and a lithium battery (LFP) (LiFePO4). The battery bank consists of 10 Trojan batteries of type T1275. 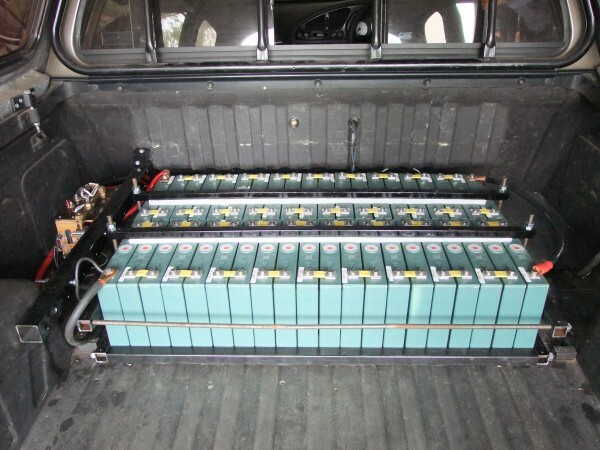 The batteries have all been installed in the back of the vehicle behind the Cab. 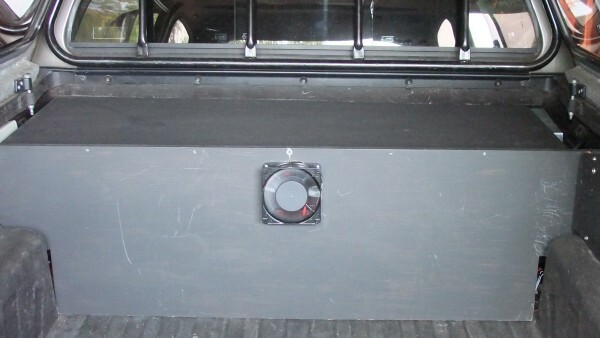 A battery Box has been built around the battery bank and a fan has been provided to extract Hydrogen during charging. The battery bank consists of 40 LFP cells from Synopoly, Type SP-LFP-100AHB. The cells are available from Freedomwon, (https://www.freedomwon.co.za/electric-storage/lithium-stationary-storage-enquiry/). The batteries have all been installed in the back of the vehicle behind the Cab by means of a metal frame.